Residents petitioning City Power, looking at civil law suit over smart meters. City Power might face a civil law suit as residents are sick and tired of so-called ‘smart’ meters, their defects and resulting billing issues. A mob of infuriated residents had representatives from City Power cornered at a public meeting on smart meters last week. “It would be to the benefit of us all if you take your smart meters and shove ’em,” an elderly resident said after reciting his complaint for the umpteenth time in front of the representatives. The meeting was called by Ward 83 councillor Suzanne Clarke after she was inundated with smart meter complaint calls, some from as far as the northern suburbs, she told the Record. The issue is so prevalent in Roodepoort and Florida [South Africa] that residents from everywhere attended, even community man Caleb Finn, who sits on the Florida CPF board. Around 100 people attending the meeting had no time for City Power’s explanations or sweet talk. Most complained their accounts have doubled since the meters have been installed on their properties. More and more cases of smart meters being swopped on neighbouring properties have come to light. One resident has apparently racked up a bill of R185 000 with City Power, according to his latest statement. 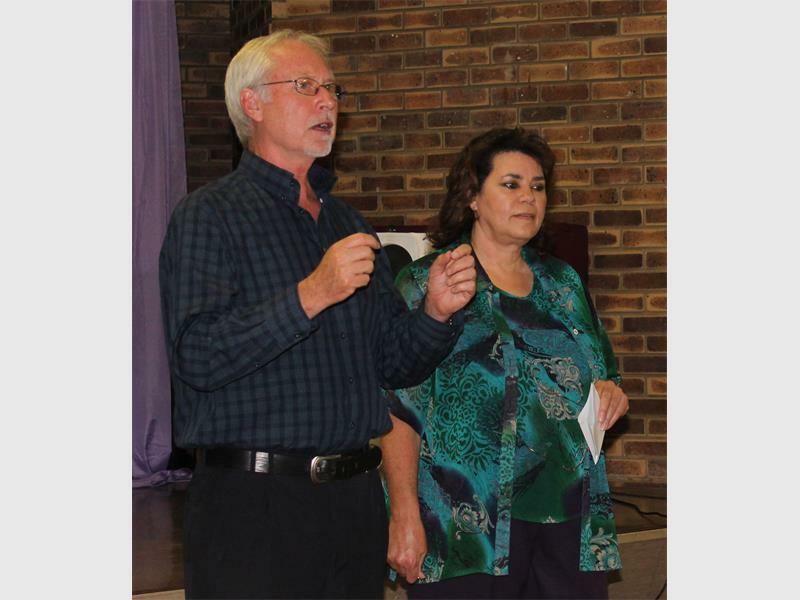 Representative Louis Pieterse tried to explain billing issues are due to the billing department being absorbed by the City of Johannesburg’s Revenue department, but residents would have none of it. “There are still a lot of account issues as a result of interface problems,” he said. Pieterse also confirmed there’s a charge to having one’s smart meter tested. It costs R500 to test and should it be found the smart meter is not faulty, this is billed to the resident instead of the municipality. Residents further alleged the new meters read 10 per cent higher than their actual consumption. There are also complaints that the estimates they’re charged if CoJ failed to get a reading are twice or three times the average consumption. “Don’t play games with us! We can take you to court and there will be big trouble,” another resident let himself be heard. Many had signed the petition, which Clarke will hand over to CoJ, by the end of the night but other possible solutions were also discussed. Initiating a civil law suit against the entity prevailed, but other residents said they’ll be happy to have the meters removed or switch to prepaid meters. City Power said they’re willing to hold an open day. Residents have requested legal council at the next public meeting. Louis Pieterse addresses residents at Suzanne Clarke’s smart meter public meeting in Roodekrans. Photo: Mathilde Myburgh. This entry was posted in Uncategorized and tagged City Power, high bills, overbilling, South Africa. Bookmark the permalink.